In a rare incident, an elephant drowned in Ken River in the core of Panna Tiger Reserve, situated in the Vindhyan ranges, spread over Panna and Chhatarpur districts in north- east Madhya Pradesh. It is not clear how the largest terrestrial animal was drowned in the Ken river, which meanders through the tiger reserve from south to north for some 55 kms. Elephants can swim and are known to use their trunk to breathe like a snorkel in deep waters. Field director Panna Tiger Reserve Vivek Jain told HT that the tiger reserve had 14 elephants, who after their routine patrolling rounds in the reserve, are routinely taken by the mahauats for foraging trips in the forests nearby. “Many times during such trips, these elephants got to Ken River to drink water and take a dip in its waters. (Elephant drinks over 200 litres a day). On Saturday, two elephants had gone to Ken river near Pipar Tola area of the Reserve but only one returned. The 14-year-old elephant known by the name Vindhya (after the local Vindhyan range) died in the drowning incident. Later the body of the elephant was located downstream. It is not clear what happened in the water that led to the drowning of one elephant while another came back”, he said. Jain said post mortem of the elephant confirmed that it died due to drowning. “We have sent the samples of its viscera to the animal lab at Jabalpur for detailed analysis to establish the exact reasons for its death”, he said. Jain said it is perhaps for the first time in the state when an elephant has died in a drowning incident. In February 2015, two wild male elephants had died due to electrocution in Sidhi district, near Sanjay Gandhi Tiger Reserve. They died after coming into contact with a live electric wire that was connected to an irrigation pump in a farm. There are no wild elephants in the forests of Madhya Pradesh, except for their occasional straying into the bordering districts close to northern Chhattisgarh. 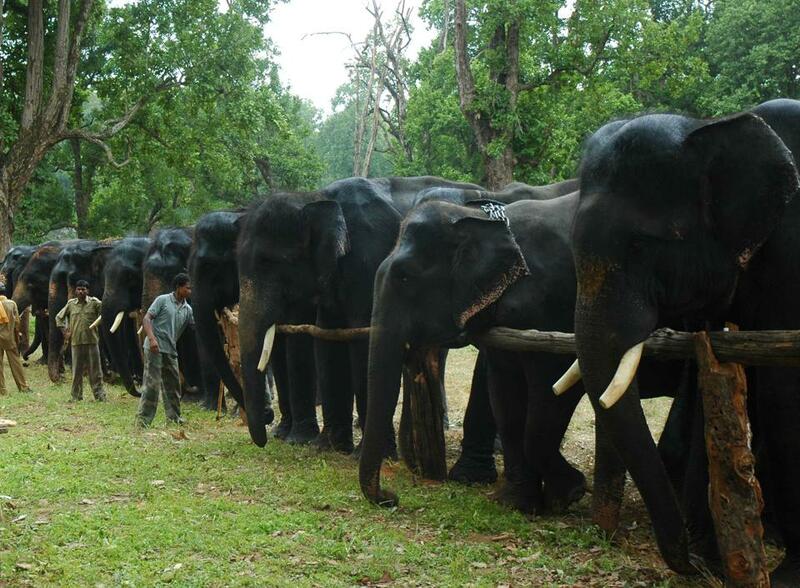 According to experts, elephants migrate from Orissa, Bihar, Jharkhand and Uttar Pradesh to adjoining areas in Chhattisgarh and occasionally bordering districts MP as areas in these states have abundance of bamboo, standing crops and water, which attracts them.Also, elephants come to MP in search for ‘mahua’ flower, sugarcane, paddy and other eatables in fields and houses. The Indian elephant (Elephas maximus indicus) is one of three recognized subspecies of the Asian elephant. Since 1986, Indian elephant has been listed as Endangered by IUCN as the population has declined by at least 50% over the last 60 to 75 years or three generations. Asian elephants are threatened by habitat loss, degradation and fragmentation.